Everyone knows that perseverance is one of the keys to be successful. However, its implementation is subjective depending on the subject’s situation. This also applies to TV Personalities who attended the #PlayMediaTalk event which set “Perseverance” as its theme. 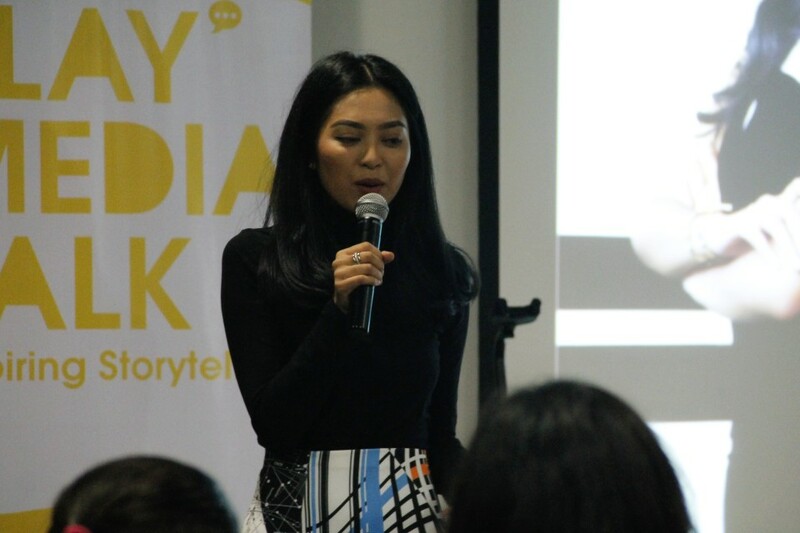 The TV personalities who also become the speakers during the event are TV talkshow presenter, Danang Darto; the Miss Indonesia 2014, Maria Rahajeng along with her twin sister Elizabeth Rahajeng; and TV presenter and a model, Leo Consul. This event was held by students of Communications Program of Binus International University in collaboration with MNC Play Media, Star Media Nusantara, and Go-Tix on Tuesday (5/4) at Auditorium Binus International University, FX Mall, 6th Floor. Leo Consul is a Filipino who is well known as the host of “Eat Bulaga”, one of highly rated shows on Indonesian TV channel. He began his career in Jakarta as a teacher, before he was discovered and recruited by Uya Kuya to become one of the hosts on the show and he never looked back since. Not long ago, Leo Consul has published his own novel, entitled “A Thousand Miles in Broken Slippers”. The novel tells his life story when he was a scavenger and bus cleaner since he is 8 years old in Philippines. “My family is very poor. 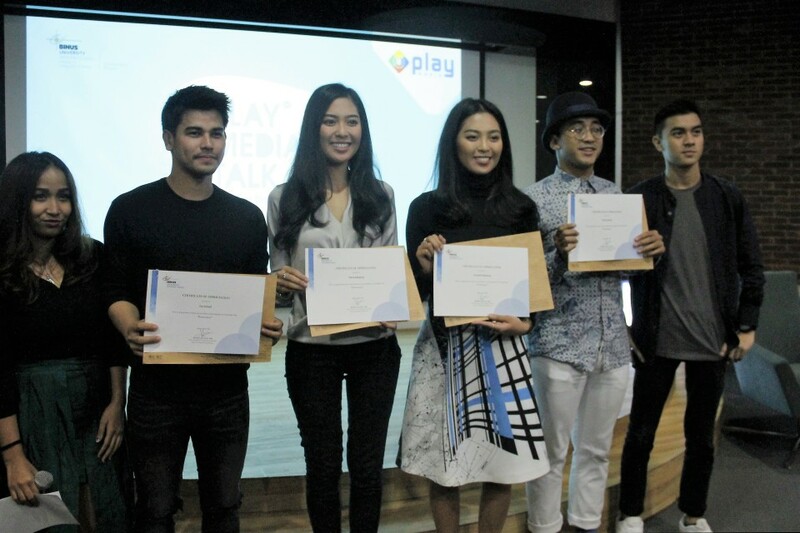 I even ate food from the trash since I couldn’t hold my hunger,” he recalls his life during the #PlayMediaTalk. He then tried relentlessly to change his fortune by studying harder and looking for scholarship to continue his study. Through scholarship, he finally managed to enter the Public University in Philippines. He took Mass Communication Major with focus on Broadcasting and graduated with honors before he started his journey to Indonesia. Unlike Leo, Maria and Elizabeth Rahajeng were raised in a comfortable middle class family. They spent their childhood in New Hampshire, USA and returned to Indonesia after several years to live in Bali. While Leo struggled financially, Maria and Elizabeth faced language barrier. They even got mocked and taunted by their friends because they couldn’t undertand Bahasa Indonesia. “I was very embarassed when I couldn’t do my exam since I don’t understand the language. I could also hear that the classmates sitting behind me was mocking and laughing at me. I was so sad,” Maria recalls her past. The incident made her sad and felt inferior, yet she keeps studying and became one of the best students at school as she managed to make her way to college. She managed to win a beauty pageant contest in her university. With this experience, she tried to compete in national beauty pageant. 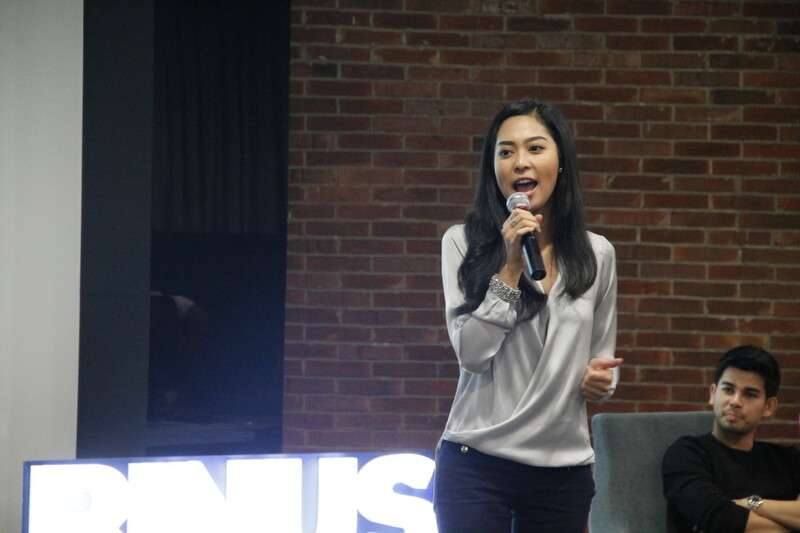 She was crowned as Miss Indonesia 2014 and listed as Top 15 finalists in the Miss World 2014 in London. Maria and Elizabeth are currently active as E! News Asia hosts, which make them the first Indonesian hosts in the history of E!. Maria and Elizabeth tell the young generation that nothing is impossible in life. “So never give up and don’t stop trying. It’s okay if you fall in when pursuing your dream, as long as you pick yourself up,” said Elizabeth. 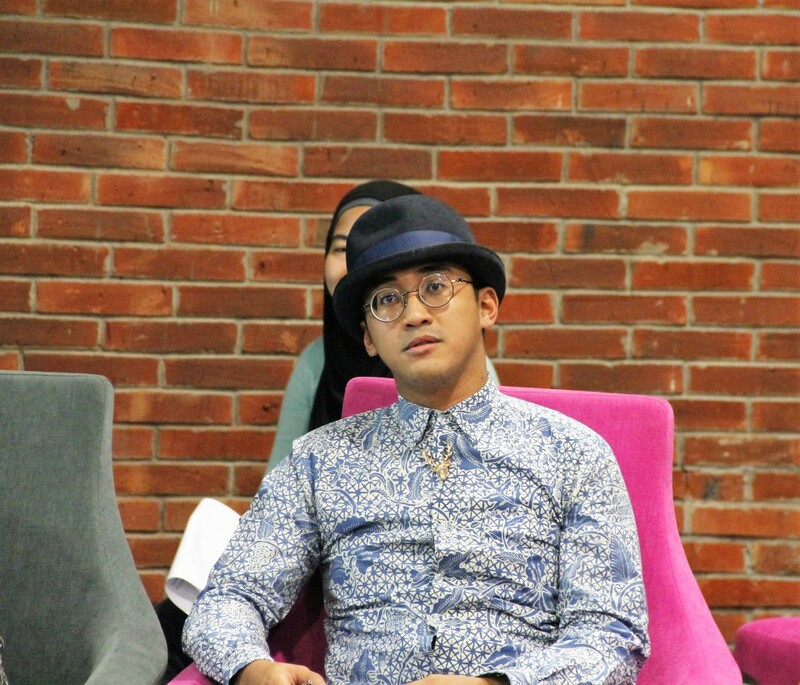 On the other hand, Dimas Danang, now famous as a host in television program “The Comment”, has his own story. Danang used to be an introvert as he prefers to be alone and spend his time by reading books. His life has completely changed since he entered entertainment world. He admits that this new experience is quite pressuring and surprising, but it also gives him opportunity to learn new things. He chose not to finish his study in Visual Communication Design program and pursue his work career. He worked as a radio broadcaster in Jakarta and managed to win Yahoo Celebrity Award as Best Radio Show in 2014. Danang suggests the young generation to keep learning as the best teacher is the universe itself, and our biggest enemy is ourselves. “School begins when you walk out the classroom to your home,” he said. He emphasizes that our problems will make our life become more valuable. “Never give up while you are breathing. Give up only when you’re dead,” he concluded.